Four Gifted Young Musicians Aim To Effect Change Through Community-Focused Projects : The Record Young, classically-trained musicians look to impact the world beyond sharing their virtuosity with it — through meaningful projects building on their potential as leaders in their home communities. Every week, a small group of young people step up to a microphone and play, their music broadcast to hundreds of thousands of listeners across America on NPR's From the Top with Host Christopher O'Riley. For those of us who may have dabbled in orchestra or band as kids, the level of mastery achieved by these young musicians can seem superhuman. And, when the show is over, most heave a sigh of relief, not realizing that From the Top has more in store for them — they are about to be asked what can only be described as a "very big question." It is: Who do you aspire to be as an artist and a leader? How can you take action now to make a difference beyond the concert hall? Since its founding in 1997, From the Top has held fast to the belief that America's most promising, young, classically-trained musicians have the potential to impact the world beyond sharing their virtuosity with it. From the Top has a full-time education staff and challenges all of its performers, whether eight years old or 18, to broaden their self-conception, to consider ways they can meaningfully effect change and to build on their potential as leaders in their home communities. Avik Sarkar, Angelica Hairston, Ariel Horowitz, and Karen Cueva are all alumni of the Boston-based organization. They are the first recipients of From the Top's Arts Leadership Grant, which launched in early 2017. The four will receive grants of up to $5,000 to support music-centric projects they've created that lay out a practicable path to positive change. The grants are funded by the Howard and Geraldine Polinger Family Foundation, with additional support from the Karma for Cara Foundation. The project: "To strengthen math skills in Navajo K-12 students and, simultaneously, to introduce age-appropriate music theory and performance." Ariel Horowitz calls herself both an artist and an activist. As a Diversity Advocate at the Juilliard School, Ariel used her own experiences growing up in a non-traditional family to open up tough conversations with her fellow students. The Heartbeat Project, founded by Ariel and co-founder Leerone Hakami, addresses the marginalization of arts education in disenfranchised communities. The Heartbeat project will take place on the Navajo (Diné) Reservation in New Mexico, and is hosted by Navajo Technical University. Ariel and Leerone are returning to the reservation for a second summer, using the Arts Leadership Grant to expand a program that began in 2016. Drawing on Navajo (Diné) traditional education systems, traditional tunes and rhythms and naturally occurring soundscapes in the Navajo Nation, the Heartbeat Project 2017 will employ music instruction as a tool to improve mathematical skills for K-12 Navajo students. The project will include community concerts, collaboration with Diné musicians, and a final performance showcasing the accomplishments of the students. "Now more than ever is a vital time for us to connect with Native American communities," Horowitz says, "and share an experience of cultural exchange through music — a language that speaks to and from the heart." Ariel was 16 when she first performed on From the Top in 2012. During her interview, she discussed the experience of performing at a high-level competition, her passion for music, and her mom, a former producer with the a capella group Sweet Honey in the Rock. The project: "Challenge the Stats will create online and local communities devoted to diversity in the arts, and will work to foster more balanced representation on concert stages, as well as in arts audiences, executive offices, and boardrooms across the country." 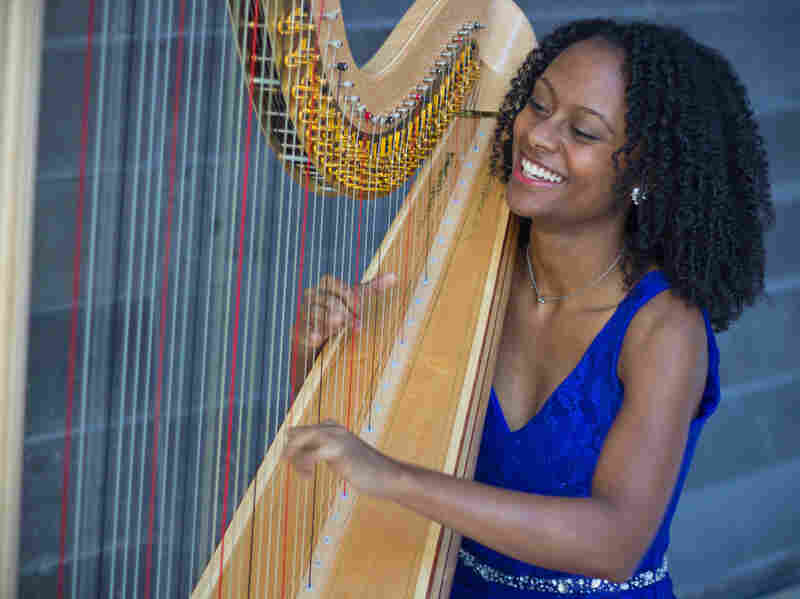 As a young African-American harpist, Angelica Hairston loved her youth orchestra rehearsals, but she couldn't help noticing how much she stood out among her fellow musicians. "I quickly realized," the 24-year-old Hairston says, "that the classical music field would be an isolating and complex space to navigate as a woman of color. I didn't know then that in the United States only 1.8 percent of orchestral musicians are African American, and only 2.5 percent are Latino." She found a mentor in Ann Hobson Pilot, the former Boston Symphony Orchestra principal harpist. In 2011, Hairston performed on From the Top for the first time, receiving the From the Top Jack Kent Cooke Young Artist Award, which helped her pursue an undergraduate degree at the Royal Conservatory of Music in Toronto. While studying in Canada she watched from a distance as the horrors of police shootings and heightened racial tension began to surface in the United States — and decided to do something about it. As a 2016 Dr. MLK, Jr., Graduate Fellow at Northeastern University, Angelica presented a concert called Challenge the Stats. 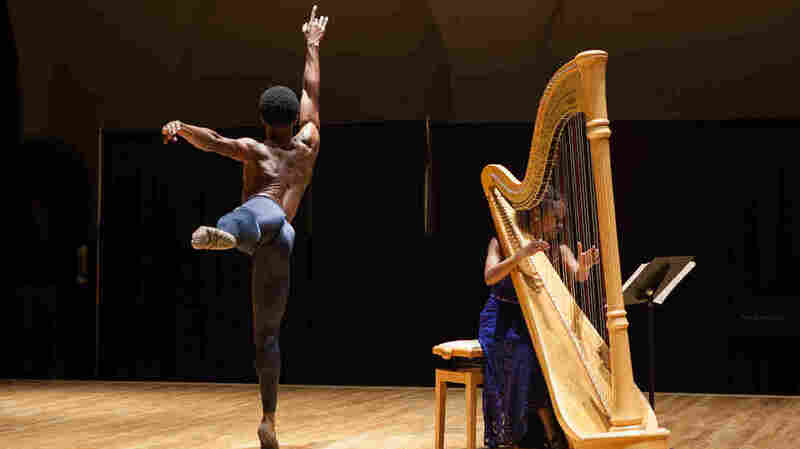 The event showcased African-American and Latino performing artists and sparked conversations about inclusion and social justice among a diverse crowd, many hearing classical music live for the first time. 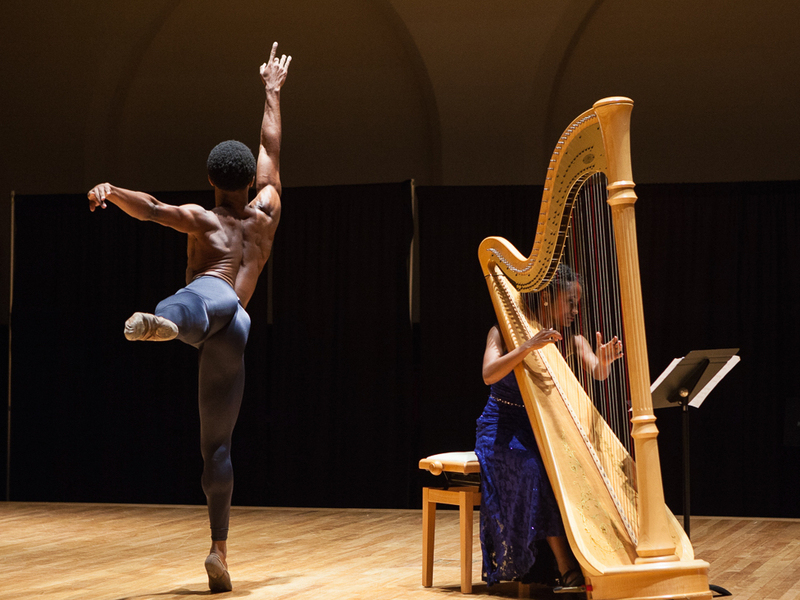 In 2017, Angelica, who lives in Atlanta and provides free harp instruction to over 80 at-risk students through the Urban Harp Project, will present a second Challenge the Stats concert, while also developing a website and social media campaign to provide online resources to those working to advance diversity in arts. Angelica was 18 when she first performed on From the Top in 2011. She talked about the "two month rule" her parents established for her first experience playing the harp, "putting a little Angelica" in her music, and paid tribute to her "harp grandmother", Ann Hobson Pilot. The project: "We don't want to just go into the Department of Youth Services and play — after all, these are bright and talented kids who deserve to be heard. Instead, we will create a musical exploration, where students will write about their life experiences through the lens of hope and compose the soundtrack to their stories." 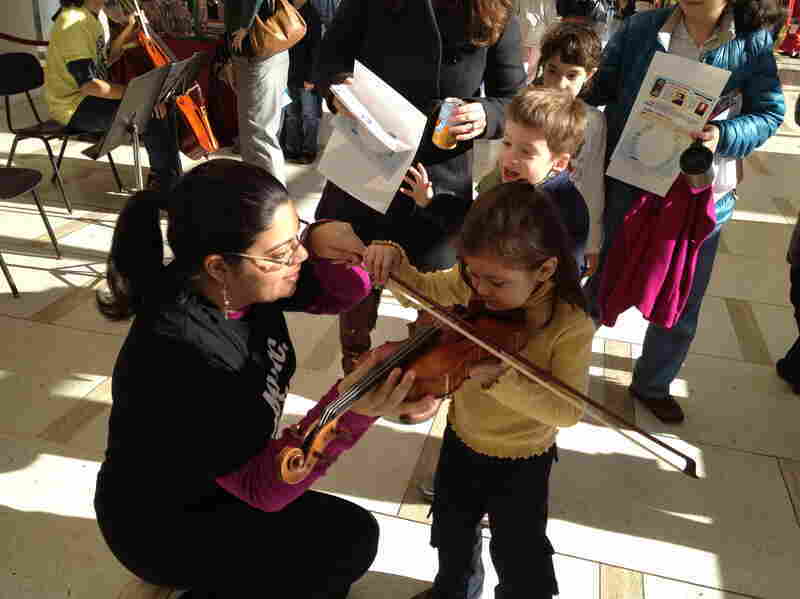 "The school-to-prison pipeline is real," says Peruvian-American violinist Karen Cueva, "and is in full force in the lives of youth in our community. It is our social responsibility to share classical music with those who do not readily have access to live performance, and this means taking steps into places where others will not." From the Top performer Karen Cueva, 17, shows a young girl her violin. For Cueva, who first performed on From the Top in 2008, music was always meant to be shared with others, especially those that were not able to attend live concerts. Even as a kindergartener she performed in veterans hospitals and nursing homes, overcoming shyness by striking up conversations with those who normally didn't discuss music. The From the Top Jack Kent Cooke Young Artist Award introduced her to arts education for youth and to performing in schools. 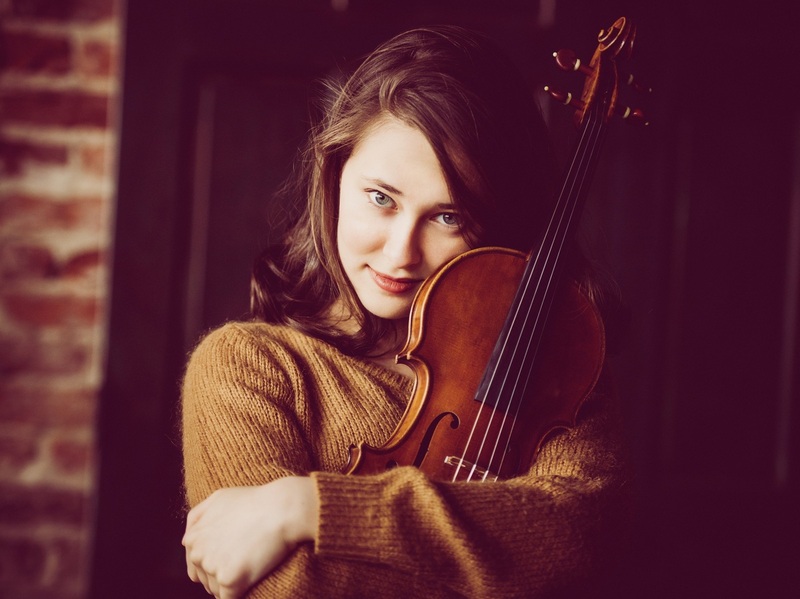 She fell in love with seeing young folks encounter classical music for the first time, going on to continue her studies at Juilliard. Cueva attended Harvard University, receiving a degree in education, but missed service work so much that she built the Du Bois Orchestra, which is dedicated to inclusion, diversity, and high-quality artistry. In 2017, members of the Du Bois Orchestra, in partnership with Boston's Department of Youth Services, will work with ten incarcerated youth. The project will begin performing works by Igor Stravinsky and composer Silvestre Revueltas, an overlooked composer of Latino heritage. Teaching artists from Du Bois Orchestra will work with the youth to record their discussions and compose original works reflecting their own stories. Karen hopes that the project will open up conversations about what it means to have your voice silenced and how music and creativity can end that cycle. The project: "While we often think of these countries as ugly, distraught places, I hope focusing on their music will bring out their beauty and give the audience a new perspective. I plan to interview refugees at the center and create recordings of them speaking about the changes and difficulties of their lives. I will then compose a string quartet piece that will include recordings from my interviews." 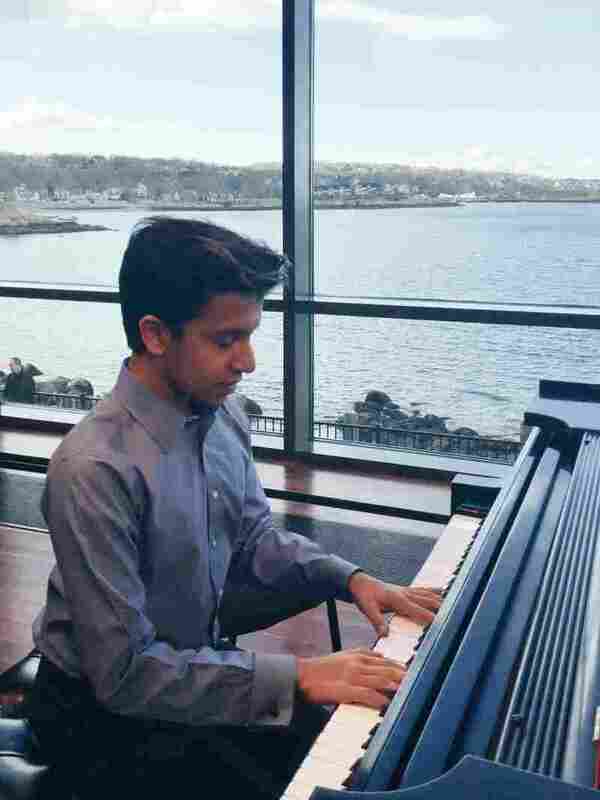 16-year-old pianist and composer Avik Sarkar comes from an immigrant family; both his parents emigrated from India to the United States in the 1990s. He navigates a world of contradiction, observing his family members feeling alienated from the communities around them, while he often feels personally disconnected from his Indian heritage. Sarkar sees parallels to his life in the experiences of refugees, and in partnership with the Boston Center for Refugee Health and Human Rights, plans to create a benefit concert in support of the Center. "I want to listen to the stories of and foster a human connection with refugees living in Boston," he says. "I hope that this project will, in some way, make them feel more at home. The concert, which will include performances of music native to refugees' homelands, will be recorded, and will include a new composition, created by Avik himself, that integrates the stories of the refugees he has interviewed.